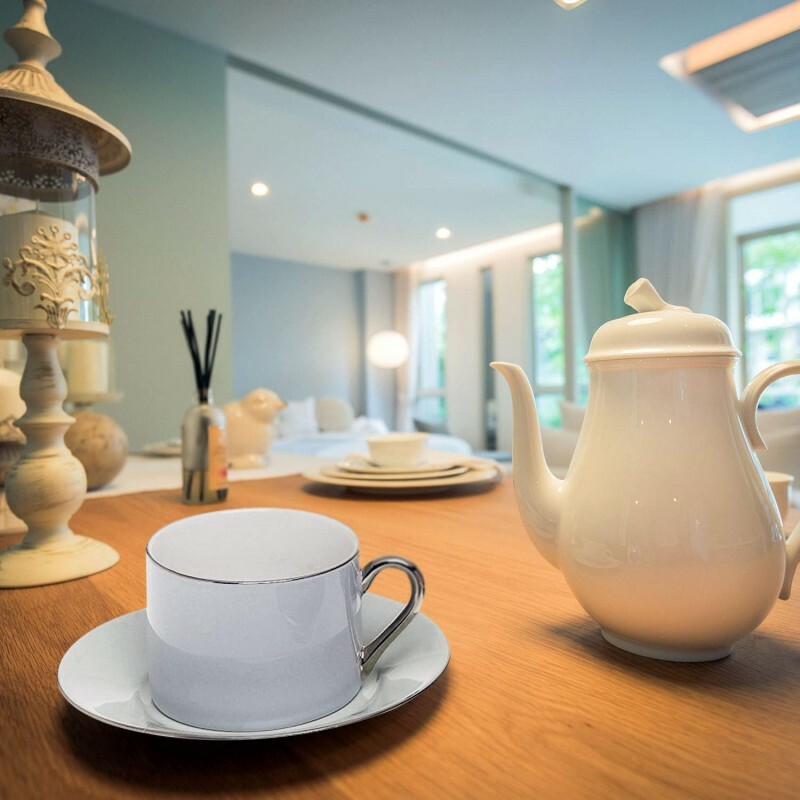 ENJOY THE PERFECT CUP OF COFFEE EVERY DAY: Whether for your freshly brewed Arabica coffee, French press, drip, loose tea leaves or your favourite aromatic herbal drink, this fine porcelain tea and coffee set will not only add style to every sip but an irresistible, classy look to your spaces, as well! 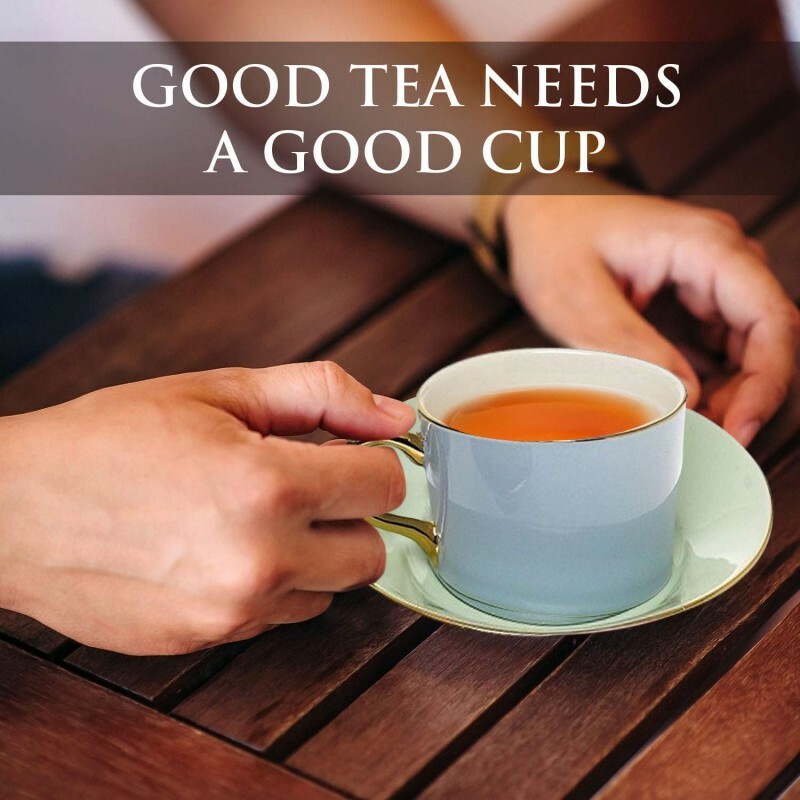 GOOD TEA NEEDS A GOOD CUP: Why compromise the taste and appearance of your daily indulgence with cheap, plain boring tea and coffee cups? 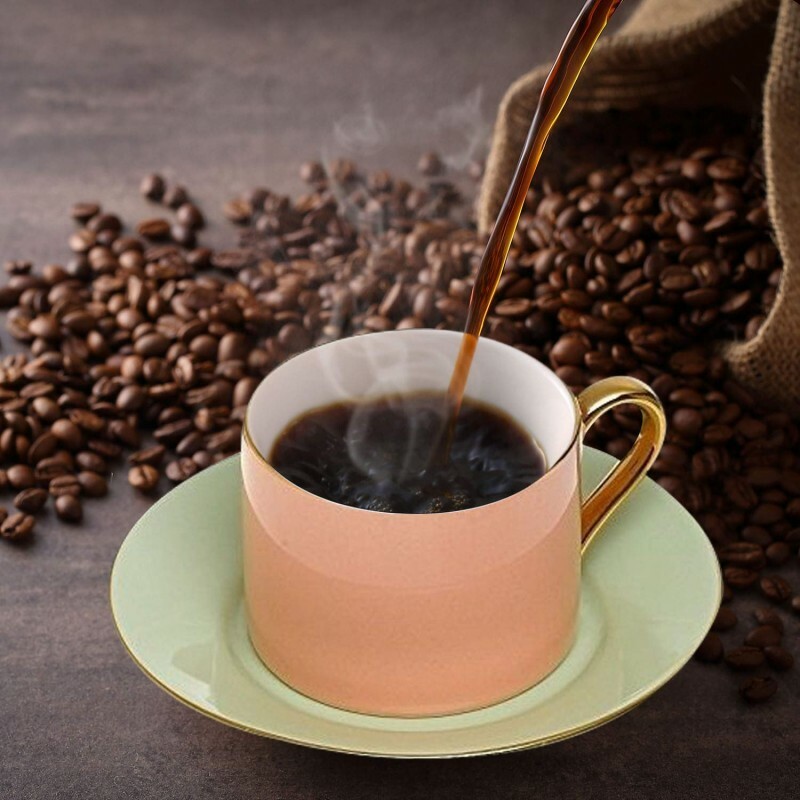 Complete with six, 7oz, premium quality, fine porcelain cups and matching saucers, this set is sure to level up your daily drinking experience. 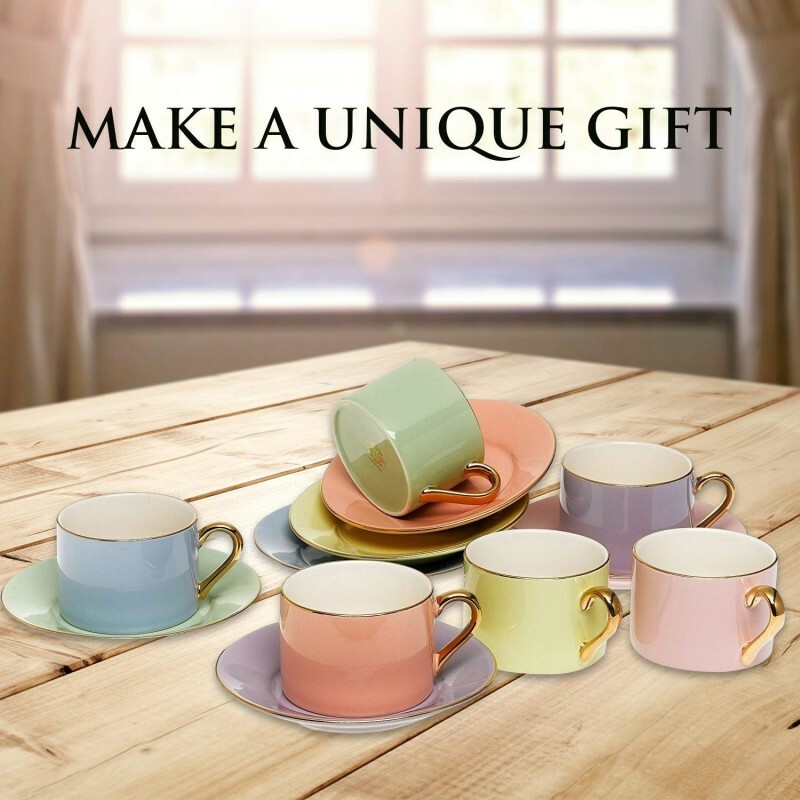 UPGDRADE YOUR CUP COLLECTION: With an elegant, sophisticated design and soft, pastel colors with gold plated rims and handles, this set will instantly elevate any room décor and add a liveliness to your chinaware collection. Note: High quality porcelain is not to be placed in the dishwasher or microwave oven. MAKE A UNIQUE GIFT: Are you looking for the perfect gift for the tea and coffee drinkers in your life? Beautifully packaged in a charming, round, satin-lined hatbox, this set is ready for gifting! Great for housewarming parties, birthdays, baby or bridal showers, hostess gifts and more! GET IT RISK-FREE: Backed by our 100% no questions asked return guarantee, you have absolutely nothing to lose! So why wait? Grab your classic tea and coffee set today to make tea-time stylish and fun! Are you looking for the perfect coffee and tea set to upgrade your china collection? 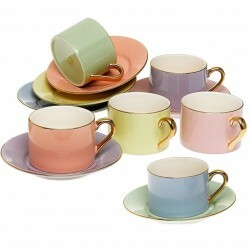 Do you want a unique set in bewitching colors to help you enjoy your morning or evening coffee with unbeatable class? Then look no further because this is for you! Boasting premium quality, fine porcelain and charming pastel colors, this set includes 6 solid teacups in classic design with gold plated rims and handles, as well as 6 coordinating saucers to mix and match as you please. Not all porcelain teacup sets are created equal. Make sure to choose the best and enjoy it for years to come! Made with fine porcelain and minute attention to detail, this set is expertly crafted to impress any tea or coffee lover! Note: Due to the high quality of porcelain and gold details, this set should not be placed in the dishwasher or microwave oven. Impress with a Gorgeous Gift! This set will arrive at your door elegantly packaged in a beautiful, satin-lined hatbox and ready for gifting! Perfect for birthday parties, anniversaries, Thanksgiving dinners, baby or bridal showers and more, it is sure to make a lasting impression. Being so sure about the top quality of this set, we are able to offer you a 100% no questions asked return guarantee of complete satisfaction. So why wait? Order Yours Today and Add Class to All Your Tea Soirées! I love the size of scoop, it’s the perfect size for a cup of coffee. It’s very lightweight and feels more like aluminum and not stainless steel. This little thing is so awesome! I never knew I needed it until I saw this on one of those product lists online. I'm always keeping the scoop inside the bag and then sealing it with a chip clip. But this provides a better seal and the scoop isn't taking up room in the bag or left out on the counter. It looks nice and feels sturdy too. I'm very happy with it.